Hamad Medical Corporation is the world famous hi-tech non-profit health care provider in Doha, Qatar having eight specialized hospitals, namely, Hamad General Hospital, Rumailah Hospital, Women s Hospital, National Center for Cancer Care and Research, Heart Hospital, Al Wakra Hospital, the Cuban Hospital and Al Khor Hospital. 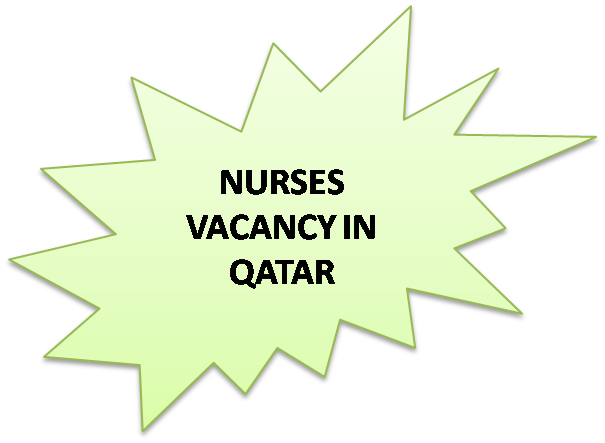 While searching jobs for all nurses, we found some excellent openings in this great organisation. Amazing opportunity. Please read the post full and then apply directly through their website. HOW TO APPLY TO ALL NURSING JOBS IN HMC? There are many other vacancies with JOB ID : IRC98667, IRC98264,IRC98145,IRC98144, IRC98104,IRC96384,IRC97124. All of these are related to nursing vacancies. You may please CLICK HERE and select "Date Posted" as Last Month. Then Search and click on each JOB ID and apply direct.